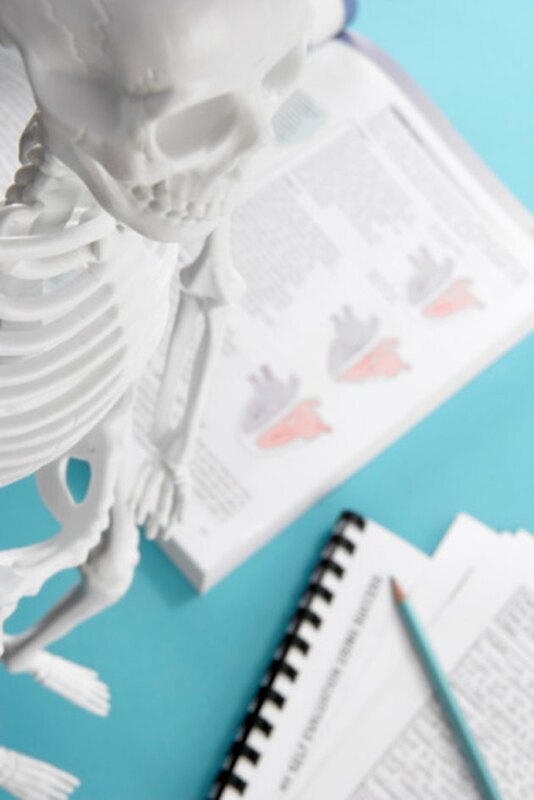 The muscular and skeletal system of the body consists of the bones, along with the muscles, ligaments, joints, tendons, cartilage and connective tissues. The main function of the musculoskeletal system is to provide the body with support. Without bones, the body would be a heap of tissue, flexibility and movement. With 206 bones and over 600 muscles in the human body, there are numerous diseases that can affect these areas and result in pain, inhibition of movement and even debilitation. Rheumatoid arthritis is an autoimmune disease of the joints that affects more than 1 million Americans, as reported by the National Institute of Arthritis and Musculoskeletal and Skin Diseases. It's classified as an autoimmune disease because it's caused by the cells of the body's immune system attacking the cells that line the joints, known as the synovial cells. This influx of immune cells in the joints results in inflammation that can lead to pain, stiffness and a loss of function. Muscular dystrophy is a group of genetic diseases. This means they're caused by defective genes that are passed from parent to child. MD is characterized by progressive degeneration of skeletal muscles, which are the muscles that control movement. The Muscular Dystrophy Association reports that there are nine major muscular dystrophy diseases that differ in how they are inherited, the age of onset, the severity, the muscles most affected and the rate of progression of the disease. Osteoporosis is a common disease of the bones. The National Osteoporosis Foundation says that approximately 10 million Americans have the disease, with at least three times more Americans at risk of developing it. Osteoporosis is the deterioration of bone tissue over time that results in a loss of bone mass, making bones susceptible to fracture. Osteoporosis is often referred to as a silent disease because there are no signs or symptoms until a bone fracture occurs. Medications help slow the loss of bone and even rebuild bone tissue. Spondylitis is the name for a group of diseases that primarily affect the spine, causing inflammation in the spine that can result in chronic pain and debilitation. The most common disease in this group is Ankylosing Spondylitis, an autoimmune disease. Cells in the immune system cause the inflammation in the spine and the joints between the vertebrae. Symptoms of AS can range from mild back pain and discomfort to severe chronic pain. As the disease progresses, the chronic inflammation can cause new bone formation. This can result in the spine becoming fused, inhibiting movement. There is no cure for AS, but new biological medications can help slow the progression of the disease. How Does Scoliosis Affect the Body?